Say thanks to Dad for being the Best Dad Ever with this special gift including ‘Best Dad Ever’ mug, Notepad and Calculator Set, Cadbury Favourites Chocolates; Peanut slab, Salted Caramel Peanuts and Seawater Fragrant mini fabric pillows. 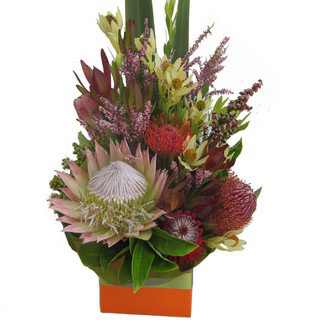 All beautifully presented in a deluxe cane basket. 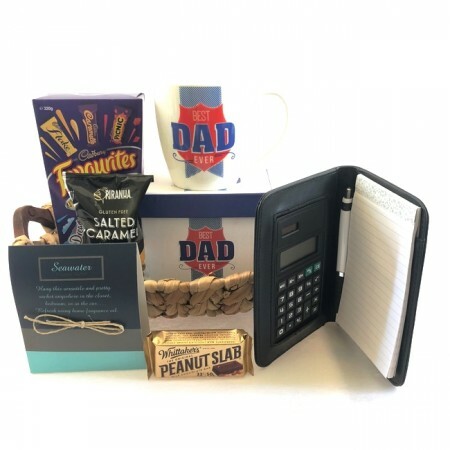 Perfectly practical with a treat for Dad. 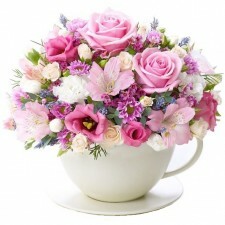 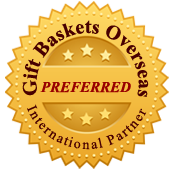 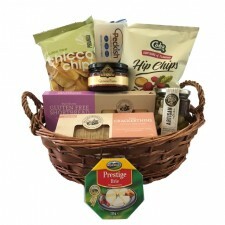 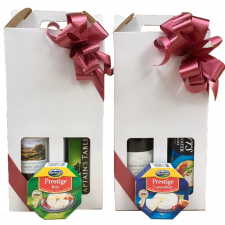 Due to the unique nature of the items included in this gift, it can only be dispatched from our Sydney office, therefore please allow enough time for delivery as per our guidelines in the section on our website titled “Delivery”, keeping in mind that delivery time estimates are business days only, does not include weekends.